There are 6 bands with the name Lava: 1. 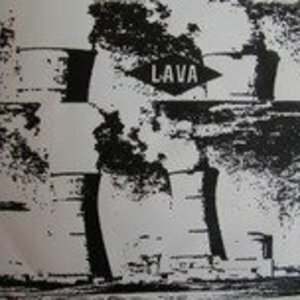 Lava was a short-lived DIY punk band from Maryland, who put out one 7" record on Gravity Records in the 1990's. The band featured Tonie Joy of The Convocation Of..., Moss Icon, Universal Order Of Armageddon, and Born Against on guitar. Their often-overlooked 7" is still available at http://www.gravityrec.com 2. Lava is an early seventies band from Berlin that in 1973 made one of the best 'rock albums' on the legendary green Brain 1,000-series. The members reputedly lived as a commune. 2. Lava is an early seventies band from Berlin that in 1973 made one of the best 'rock albums' on the legendary green Brain 1,000-series. The members reputedly lived as a commune. Tears Are Going Home was recorded in Berlin, but mixed at Windrose Studios, Hamburg, by the hard-working Konrad Plank, assisted by Hans Lampe. The seven tracks on the album are extremely varied, covering the important styles of progressive rock of the day: the heavy space style of Hawkwind (on the title track), strange folk-rock ("All My Love To You", "Would Be Better You Run") and West Coast rock ("I'm Just A Mad Dog"). Sadly, no more was ever heard from the band. For many years their album could be acquired quite cheaply, but recently the band seems to have been discovered by collectors and the price has risen. 3. Lava is a rock-based experimental band hailing from Spain. The band is known for its complex, varied, and often cathartic fusion musical arrangements, heavily influenced by pop, post-rock, folk, and traditional Spanish music. Some of the band members also work in other projects. Carlos Tim?n was born in Madrid, Spain in 1972. In the 90?s he collaborated and worked with such musicians as Javier Gallego (fellow founder of INSECTO), Marcos Monge (RESPECT, AKA FREE), Fran Bell, Javier Ad?n (ZURE-E-GURA, DEAD CAPO), Javier D?ez-Ena, Fernando Alfaro (CHUCHO, SURFIN' BICHOS), Abel Hern?ndez & Diego Yturriaga (MIGALA) and Michel Mart?n. Carlos played guitar in KEBRANTAS, one of the less conventional bands in the 90?s Spanish scene ("Amateur", Radiation Records 1995). In 1998, Blue Fish Records released INSECTO?s debut "Love Fiasco". Carlos has also composed his own brand of classical music with a special band, KULU TEMPO, as well under his own name. In recent years, Carlos's work has included sessions with Fran Padilla, Belinda Baxter, Matt Elliot (THIRD EYE FOUNDATION), Mike Cosgrave, and the O?Grady brothers Ciar?n and James. Carlos also continues to do a great deal of work with Javier Gallego, Javier D?ez-Ena and Javier Ad?n (all former fellow members of INSECTO), having all of them played on Lava's "SWINGS OF FATE" album. Carlos moved to London, UK, in 1998. 4. Lava is a underground brazillian band a bit inspired on 90's alternative,that gained some recognition with the release of the album "La Motocyclette" and in 2006 they released de album "Shiba".They are currently not working on any new projects. 5. Lava is a norwegian band. Their first album was released in 1980. They are still playing, and the latest album was released in 2005. Lava is often used as a studio band by several artists with Randy Crawford as the most famous outside Norway. 6. Lava is a turkish band. Their first album was released in 2005 in the USA with the title "Carnaval Del Amor". The album has turkish, spanish and english lyrics. An ethnic-electronic style, a warm Mediterranean breeze, joy, energy, Turkish, English and Spanish! That is Lava for you... Lava, is an Elec-Trip project involving producer O?uz Kaplang?, arranger U?urcan Sezen and Ebru ?-zpirin? who is also known as DJ Enjoy from Turkey's well known radio, ?Radio Oxi-gen?. DJ Enjoy is the singer-songwriter of Lava. Lava combines its original approach to music with different genres, thus creating an interesting fusion, a world sound from Istanbul.